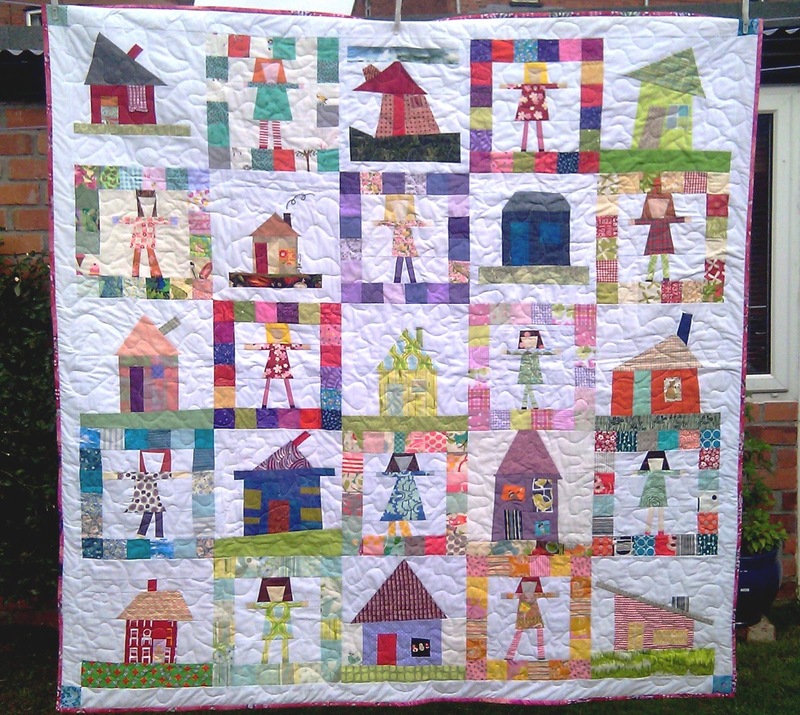 It has been a joy and a privilege to work on this quilt with so many contributors. 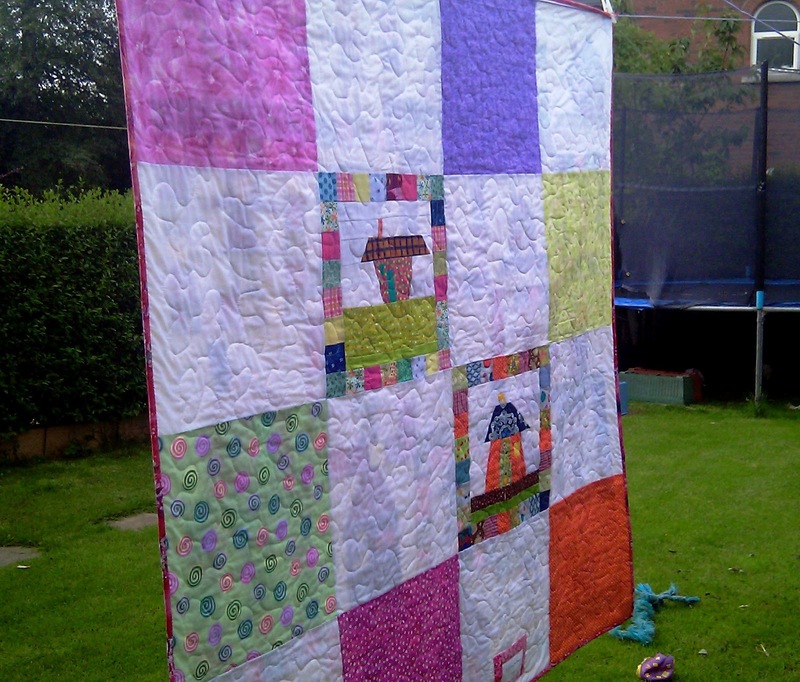 This is a Bee Blessed quilt, which will soon be gifted to a teenage girl struggling through M.E. I told her mum yesterday that we are making her a quilt & to keep it a secret. She cried! She was so moved and touched by the fact that others would think of her daughter, to invest time and talent making something that would be a comfort and blessing to her. Folks, I really want to encourage and thank you! You may not think that making a block or two here and there is v.much. Let me tell you – IT IS HUGE! I sometimes have the privilege of seeing first hand the impact these quilts make on people’s lives. 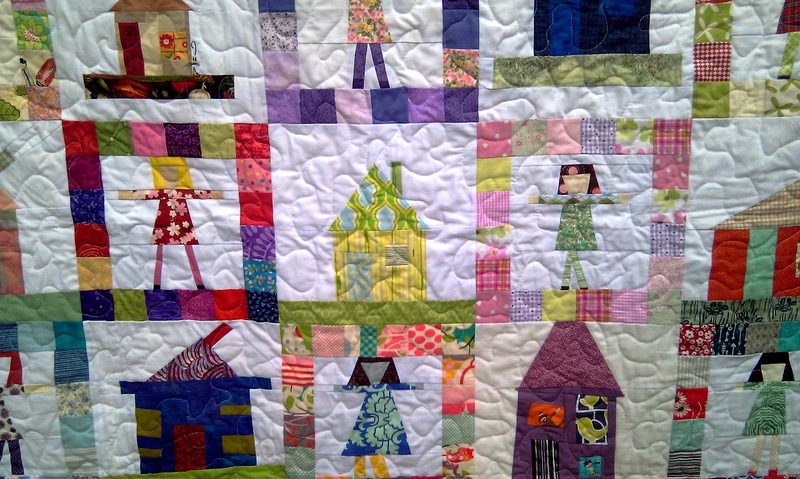 I don’t know what it is, but a quilt seems to represent so much to the receiver. The impact is deep and long lasting. Please, please keep up the good work! I’m not a person who is easily impressed! But the things that do impress me are humility, courage, hard work, grace and compassion. I get to see all of these amazing qualities in this wonderful quilting community, both online and through the friends I have the privilege to sew alongside. Yesterday was one such example. 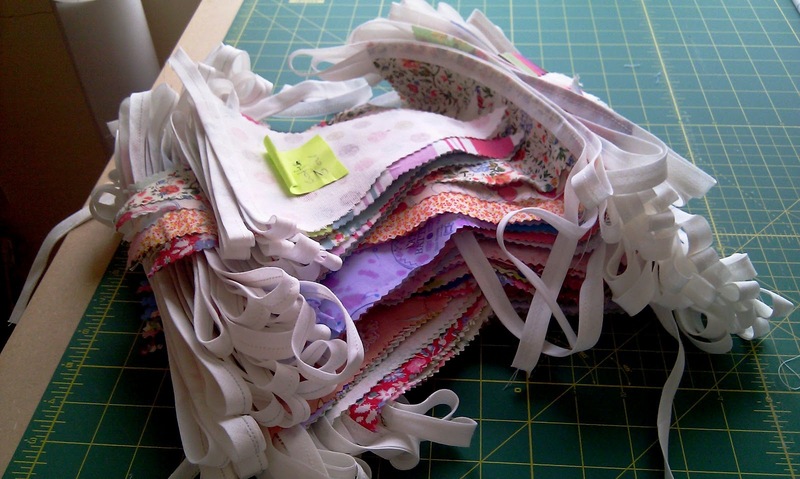 In preparation for our Exhibition & Fund Raiser day later this month, 10 wonderful ladies gave up their Sunday afternoon to sew bunting, cover jam jar table centres and make up fat quarter bundles. Here is what 50 metres of bunting looks like! Thank you ladies! You are an inspiration to me, and I’m in awe of your dedication & hard work. When I start to feel overwhelmed and burnt out your sense of humour makes me laugh again, and restores my soul!! Wishing you all a great start to the new week. Previous Previous post: Lovely People! Next Next post: Run Forrest, Run!